The fertility temple is visited by couples who have problem conceiving and they have been blessed miraculously with children. Couples are blessed by a replication of the iron bow and arrow of Drukpa Kuenley, his scriptures and the phallus. Some couples stay overnight at the monastery. 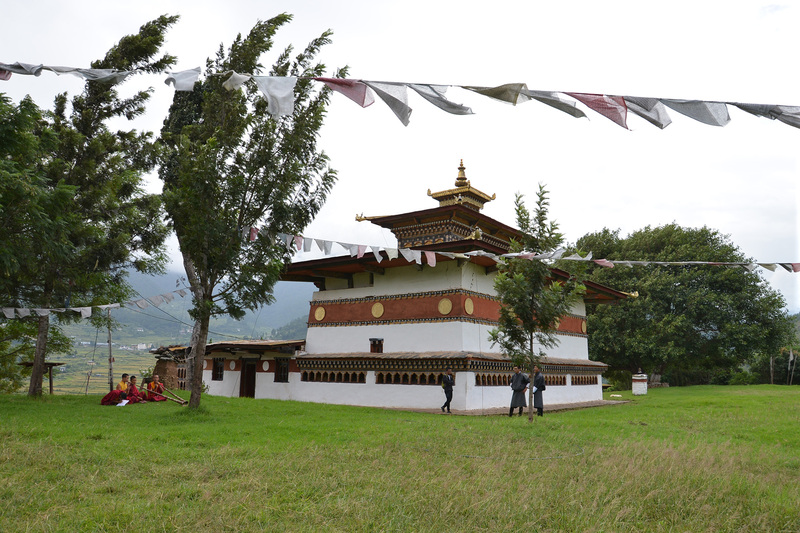 Chhimi Lhakhang is located on a small hillock and it takes 15 minutes to walk to the temple through a lush rice field. It is believed that Lam Drukpa Kuenley killed a demoness, turned into a dog and buried it under the mound of a hill. He then said ‘chi-med’ meaning no dog and built a black stupa on that. Lam transformed the demoness into a guardian and protector of the Buddha and gave her a new name, Chhoekim, meaning the one converted to religion. Chhoekim is the guardian deity of Chimi Lhakhang.